Get ready for the fastest browsing experience - for now the new Opera Browser has finally gone live in Google Play Store. 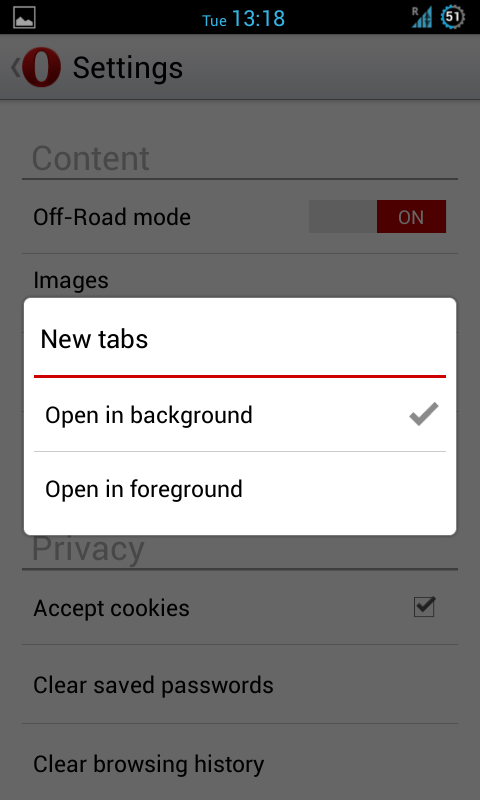 The new Opera Browser is completely redesigned and now provides a better alternative for your default internet browser - with functions like Off-Road Mode, new Private Tab/Incognito mode, switching to desktop version of the websites, options to open new tab in background/foreground etc. 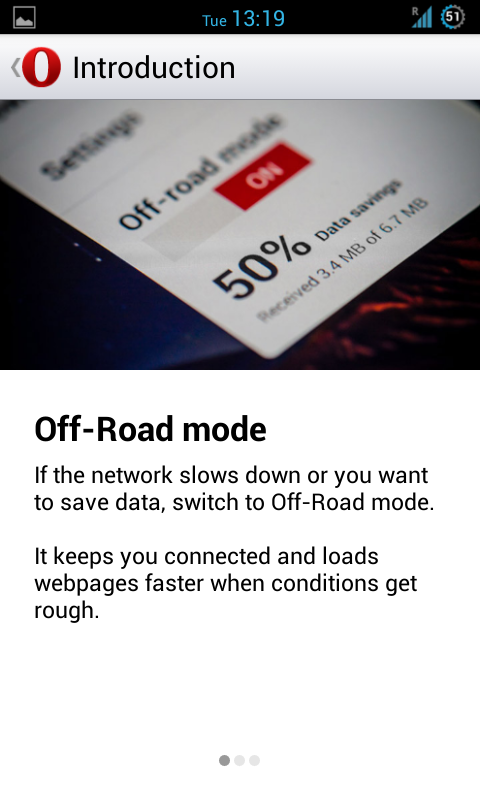 The best feature that will gain users attention is the bandwidth-saving Off-Road Mode, which is designed to access websites faster in case of slow internet connection. 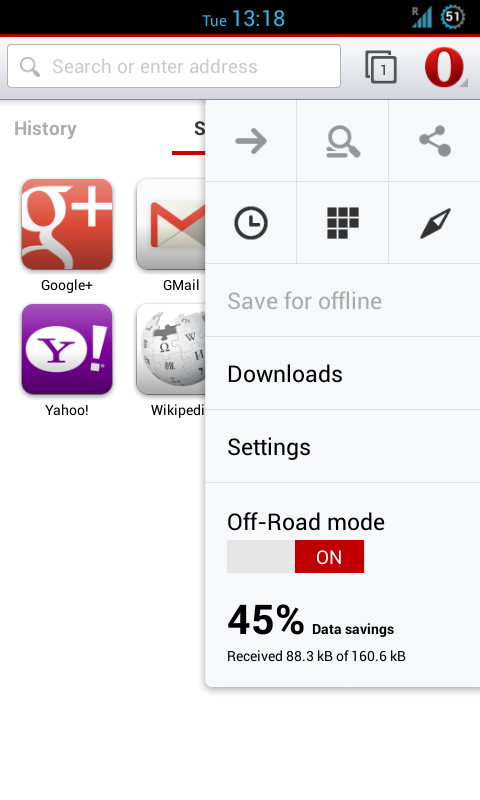 Unlike the previous build of Opera Browser that used Presto rendering engine this new release of Opera Browser uses a new Webkit rendering engine, the same used in Google Chrome and AOSP browser(used in custom ROMs), is touted to be the fastest rendering engine so far. 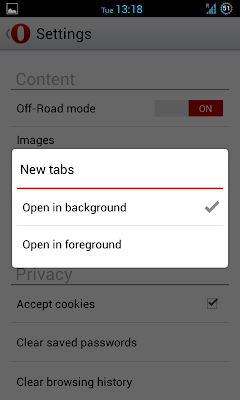 This redesigned and reprogrammed version on the new Opera Browser looks elegant and goes well with the holo UI used in the newer versions of Android devices(4.1+). Along with some common features carried by most of the other Android browsers, the new Opera Browser is definitely going to stand out when it comes to the new Off-Road Mode for slow internet connections. 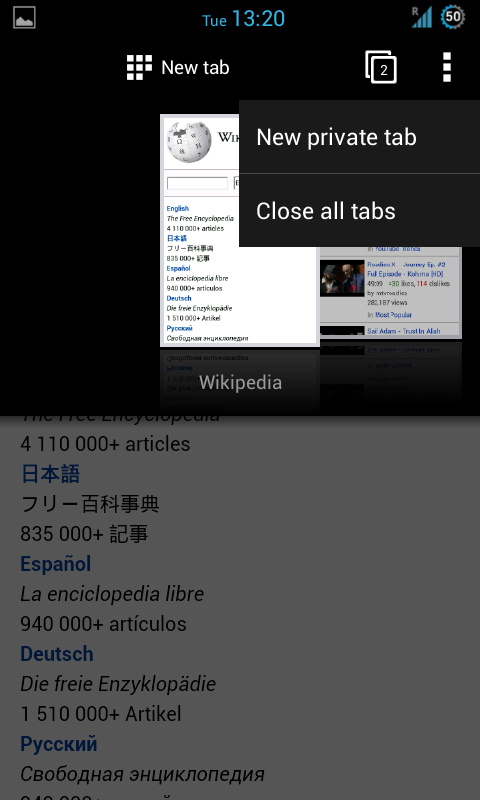 Download New Opera Browser From Google Play Store.